Incredible Loxahatchee River Estate was recently listed in Jupiter, Florida. This gorgeous estate has 5 bedrooms, 5 bathrooms, a half bath, 3 car garage, and a spacious 6,767 living square feet. Enjoy breathtaking intra-coastal views with convenient private dockage, no fixed bridges, half acre home site, magnificent swimming pool, large windows, and beautiful covered balconies. This estate also features a stunning gourmet kitchen complete with granite countertops and sleek appliances, marble flooring, cozy fireplace, cypress ceilings, and more. Delight in serene water views and luxurious living in this outstanding estate. 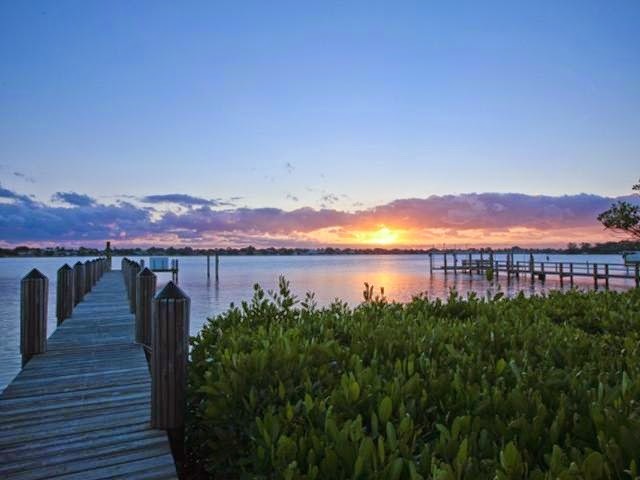 19730 Grandview Terrace in Jupiter, Florida is asking $2,999,000 and is MLS# RX-10029017. Picture Courtesy of: This Loxahatchee River - Listing Courtesy of: Water Pointe Realty Group. Amazing private location for this Jupiter riverfront home with all the bells and whistles. Enjoy the natural beauty of waterfront life here in Jupiter Paradise. If you are interested in this home or any other Jupiter Real Estate, contact Distinct Estates.